Love is the primary attribute and motive for the spiritual purposes we were charged to undertake by our beloved prophet. 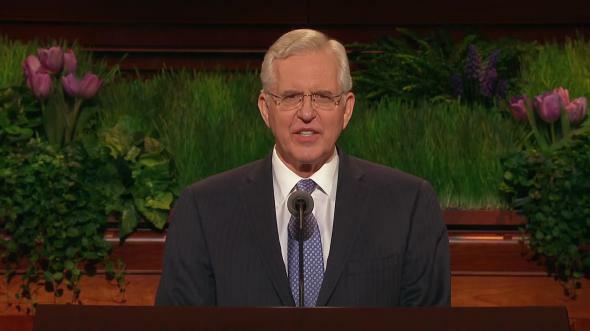 My purpose this morning is to emphasize the essential role of that kind of love in missionary work, temple and family history work, and home-centered, Church-supported family religious observance. 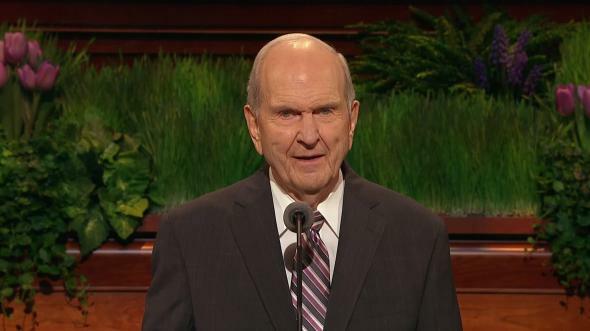 Love of the Savior and love of our fellow men and women4 is the primary attribute and motive for ministering and the spiritual purposes5 we were charged to undertake by our beloved prophet, President Russell M. Nelson, in the adjustments announced in 2018. I understood even at that early age that sharing the gospel was based on a great love for all our Heavenly Father’s children. 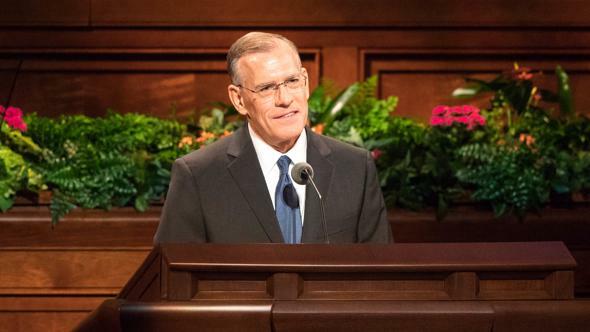 As General Authorities assigned to work on Preach My Gospel 15 years ago, we concluded that the attribute of love was essential to missionary work in our day, just as it has always been. Chapter 6, on Christlike attributes, including charity and love, has consistently been the most popular chapter among missionaries. As emissaries of the Savior, most missionaries feel this kind of love, and when they do, their efforts are blessed. When members gain a vision of this kind of love, which is essential in assisting the Lord in His purpose, the Lord’s work will be accomplished. I was privileged to have a small role in a marvelous example of this kind of love. When I was serving as President of the Pacific Islands Area, I received a call from President R. Wayne Shute. 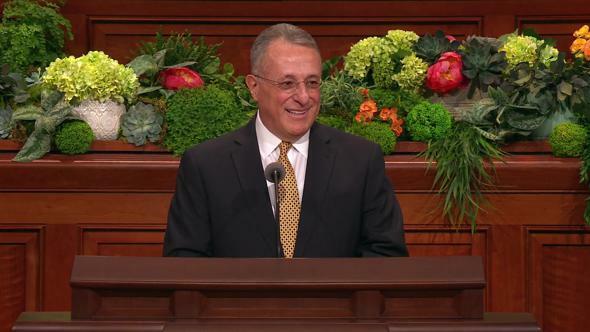 As a young man, he served a mission in Samoa. 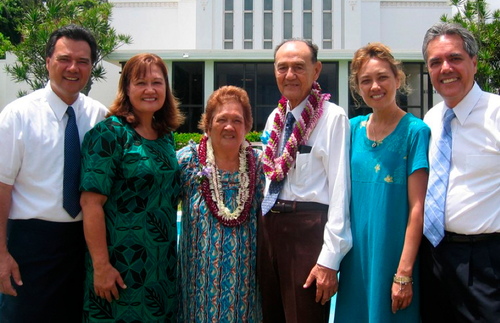 Later, he returned to Samoa as a mission president.8 When he telephoned me, he was the Apia Samoa Temple president. 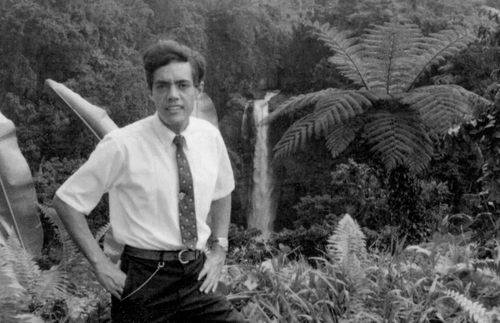 One of his young missionaries, when he was mission president, was Elder O. Vincent Haleck, who is now the Area President in the Pacific. President Shute had great love and respect for Vince and the entire Haleck family. Most of the family were members of the Church, but Vince’s father, Otto Haleck, the patriarch of the family (of German and Samoan descent), was not a member. President Shute knew I was attending a stake conference and other meetings in American Samoa, and he asked me if I would consider staying in Otto Haleck’s residence with the view of sharing the gospel with him. My wife, Mary, and I stayed with Otto and his wife, Dorothy, in their beautiful home. At breakfast I shared a gospel message and invited Otto to meet with the missionaries. He was kind, but firm, in refusing my invitation. He said he was pleased that many members of his family were Latter-day Saints. But he forcefully indicated that some of his Samoan mother’s ancestors had been early Christian ministers in Samoa, and he felt a great allegiance to their traditional Christian faith.9 Nevertheless, we left as good friends. When we arrived from Fiji after the temple dedication, we were warmly greeted.13 We spoke that evening to thousands of Samoan members and then proceeded to the Haleck family compound. When we gathered for breakfast the next morning, President Hinckley and Otto Haleck had already become good friends. It was interesting to me that they were having much the same conversation I had had with Otto more than a year earlier. 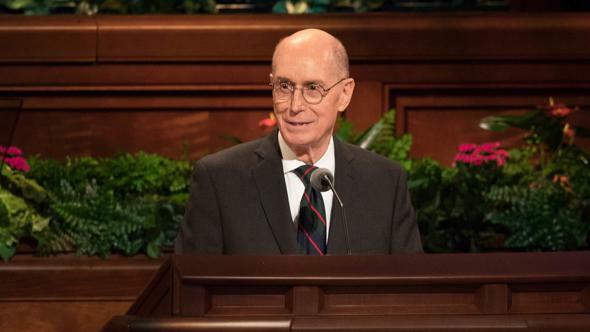 When Otto expressed his admiration for our Church but reaffirmed his commitment to his existing church, President Hinckley put his hand on Otto’s shoulder and said, “Otto, that’s not good enough; you ought to be a member of the Church. This is the Lord’s Church.” You figuratively could see the resistive armor fall away from Otto with an openness to what President Hinckley said. 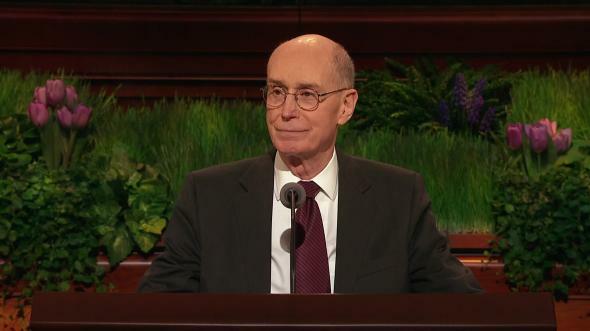 As members we can show our love for the Savior and our brothers and sisters throughout the world by making simple invitations. 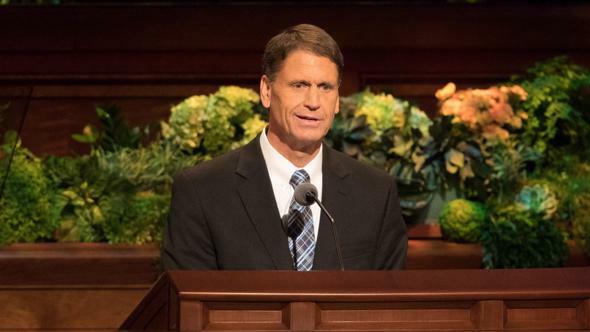 The new Sunday meeting schedule represents an exceptional opportunity for members to successfully and lovingly invite friends and associates to come and see and feel a Church experience.18 A spiritual sacrament meeting, hopefully as sacred as what Elder Jeffrey R. Holland described yesterday, will be followed by a 50-minute meeting focused on the New Testament and the Savior or relevant conference addresses also focused on the Savior and His doctrine. Some Relief Society sisters have wondered why they have been given a “gathering” assignment along with priesthood quorum members. There are reasons for this, and President Nelson set forth many of them in the last general conference. He concluded, “We simply cannot gather Israel without you.”19 In our day we are blessed that approximately 30 percent of our full-time missionaries are sisters. This provides additional incentive for Relief Society sisters to lovingly share the gospel. What is needed is a loving, compassionate, spiritual commitment by each of us—men, women, youth, and children—to share the gospel of Jesus Christ. If we show love, kindness, and humility, many will accept our invitation. Those who choose not to accept our invitation will still be our friends. 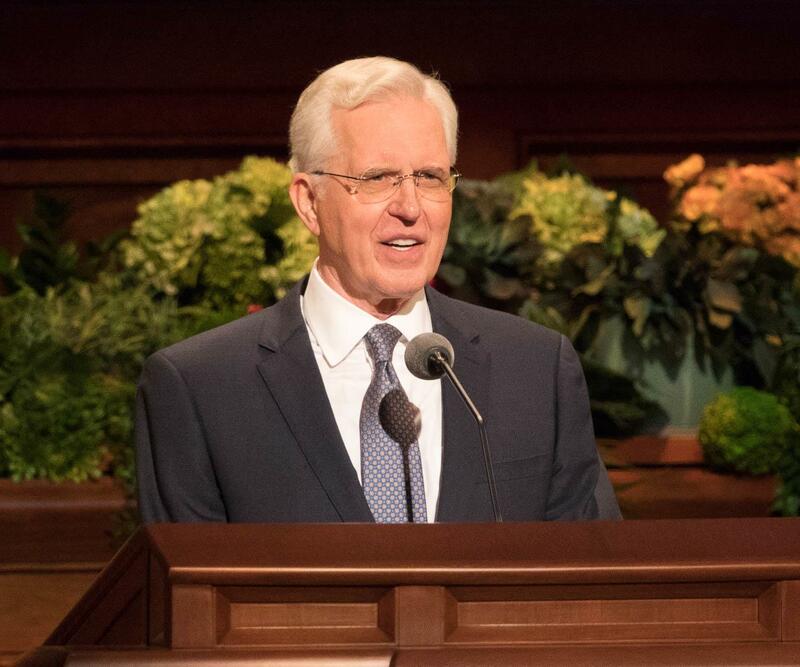 Love is also at the center of our temple and family history effort to gather Israel on the other side of the veil. When we learn of the trials and hardships our ancestors faced, our love and appreciation for them is magnified. 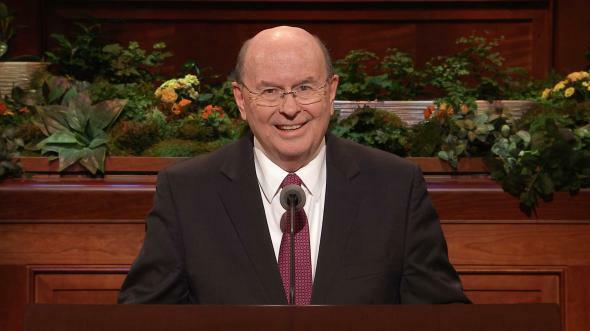 Our temple and family history effort has been strengthened to a significant degree by the new adjustments in both the Sunday meeting schedule and the youth advancement in classes and quorums. These changes provide for earlier and more powerful attention to learning about our ancestors and gathering Israel on the other side of the veil. Both temple and family history work are greatly enhanced. I know our Primary and youth leaders are making and will continue to make family history and temple work a major effort. Relief Society sisters and priesthood brethren can lovingly help fulfill their temple and family history responsibility individually and also by assisting and inspiring children and youth to gather Israel on the other side of the veil. This is particularly important in the home and on the Sabbath. I promise that lovingly performing ordinances for ancestors will strengthen and protect our youth and families in a world that is becoming increasingly evil. 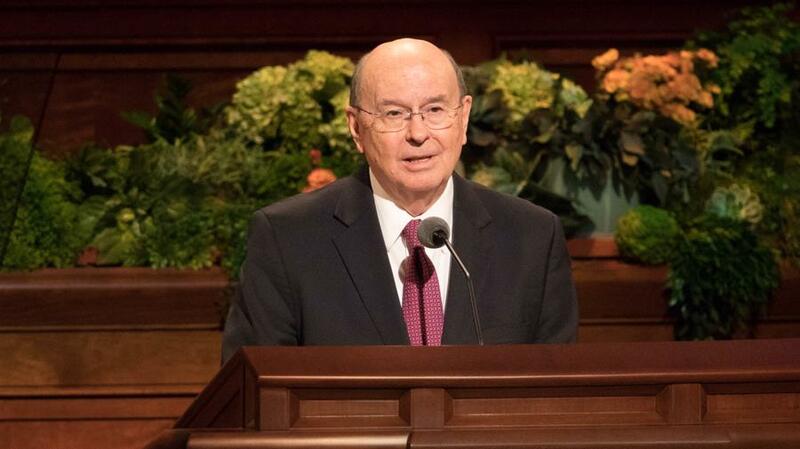 I also personally testify that President Russell M. Nelson has received profoundly important revelations relating to temples and temple work. When a man and woman are sealed in the temple, they enter the holy order of matrimony in the new and everlasting covenant, an order of the priesthood.22 Together they obtain and receive priesthood blessings and power to direct the affairs of their family. Women and men have unique roles as outlined in “The Family: A Proclamation to the World,”23 but their stewardships are equal in value and importance.24 They have equal power to receive revelation for their family. When they work together in love and righteousness, their decisions are heaven blessed. Those who seek to know the will of the Lord as individuals and for their families must strive for righteousness, meekness, kindness, and love. Humility and love are the hallmark of those who seek the Lord’s will, especially for their families. 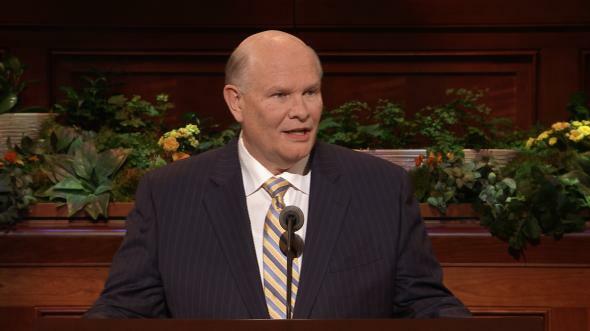 In addition to encouraging a loving atmosphere in the home, President Nelson has focused on limiting media use that disrupts our primary purposes.30 One adjustment that will benefit almost any family is to make the internet, social media, and television a servant instead of a distraction or, even worse, a master. The war for the souls of all, but particularly children, is often in the home. As parents we need to make sure that media content is wholesome, age appropriate, and consistent with the loving atmosphere we are trying to create. Teaching in our homes needs to be clear and compelling31 but also spiritual, joyful, and full of love. 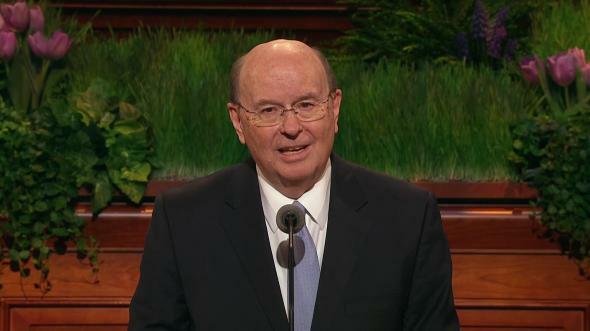 I promise that as we focus on our love for the Savior and His Atonement, make Him the centerpiece of our efforts to gather Israel on both sides of the veil, minister to others, and individually prepare to meet God, the influence of the adversary will be diminished and the joy, delight, and peace of the gospel will magnify our homes with Christlike love.32 I testify of these doctrinal promises and bear a sure witness of Jesus Christ and His atoning sacrifice in our behalf, in the name of Jesus Christ, amen. Doctrine and Covenants 4:1, 5. See “Charity and Love,” Preach My Gospel: A Guide to Missionary Service, rev. ed. (2019), 124. See Deuteronomy 6:5; Matthew 22:36–40. 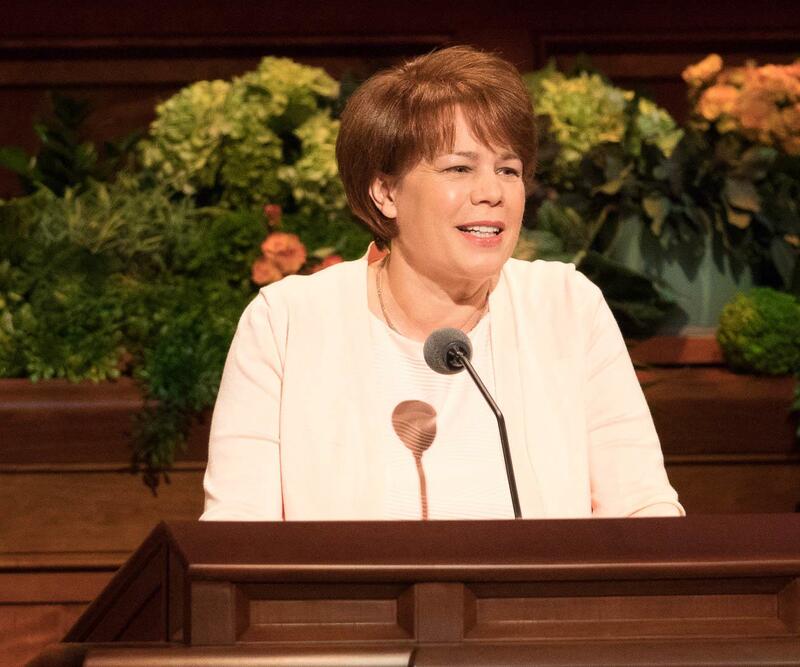 See “Responsibilities of Elders Quorum and Relief Society Presidencies in Member Missionary and Temple and Family History Work,” notice, Oct. 6, 2018. My grandfather was authorized to give a patriarchal blessing to grandchildren who lived in different stakes. Mine was given to me at age 11 because he was ill and it was thought that he might pass away. Patriarchal blessing given to Quentin L. Cook by patriarch Crozier Kimball, Oct. 13, 1951, Draper, Utah. 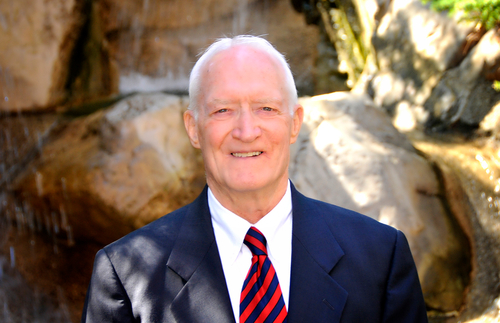 President R. Wayne Shute also served with his wife Lorna on other various kinds of missions in Shanghai, China; Armenia; Singapore; and Greece. After Lorna passed, he married Rhea Mae Rosvall, and they served in the Australia Brisbane Mission. 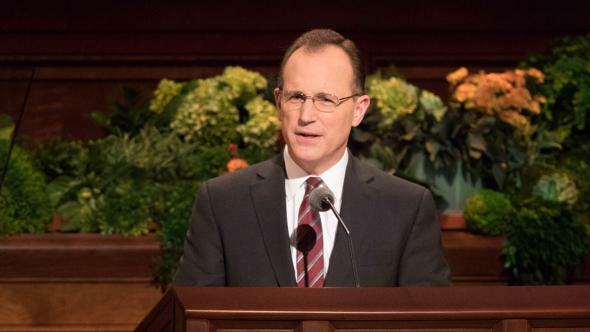 Seven of his nine children have served full-time missions. During two of the years he was serving as a mission president in Samoa, Elder John H. Groberg was serving as mission president in Tonga. The experiences both of them had are legendary. Otto Haleck was a lay leader in the Congregational Christian Church of Samoa, which had roots stemming from the London Missionary Society. His father was of German heritage from Dessau, Germany. President Don H. Staheli is currently serving as the president of the Bountiful Utah Temple. 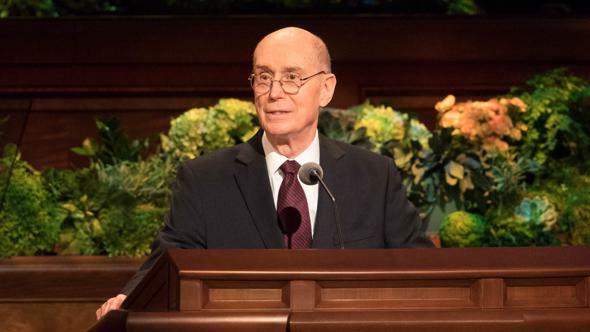 President Gordon B. and Sister Marjorie P. Hinckley and their daughter Jane Hinckley Dudley, Elder Jeffrey R. and Sister Patricia T. Holland, Elder Quentin L. and Sister Mary G. Cook, and Brother Don H. Staheli were all present. 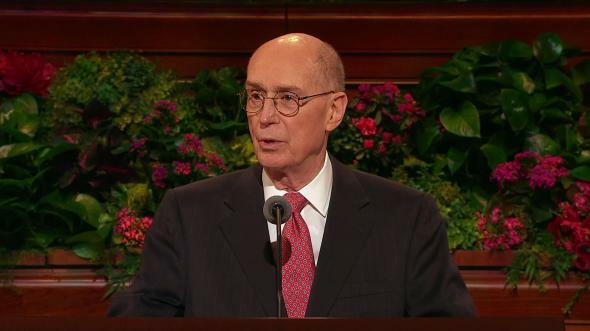 Elder O. Vincent Haleck informs me that his father invited Vince and his brother David to return from overseas to inspect the house and be there for President Hinckley’s visit. 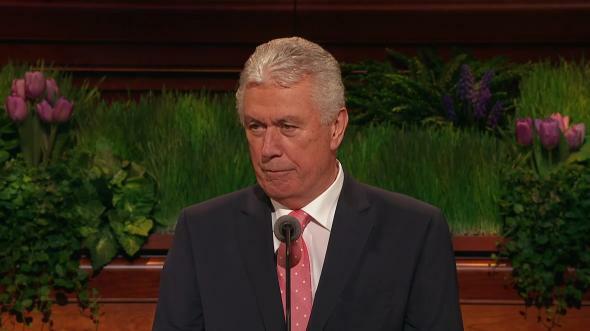 Elder Haleck said his father declared, “These could be angels, you know.” He told his sons if they were going to host the prophet, they would want the house to be perfect. President Hinckley was greeted by the national leadership of American Samoa and many thousands of Samoans at the football stadium. Uniting families through diligent missionary work has been a great characteristic of both the Samoan and other Polynesian peoples. President Shute was so loved and appreciated that he was invited to speak at Otto Haleck’s funeral service in 2006. “Sometimes we may initially serve from a sense of duty or obligation, but even that service can lead us to draw on something higher … to serve in ‘a more excellent way’ [1 Corinthians 12:31]” (Joy D. Jones, “For Him,” Ensign or Liahona, Nov. 2018, 50). See Tad R. Callister, The Infinite Atonement (2000), 5–8. Church members should coordinate with the missionaries whenever they are making invitations. 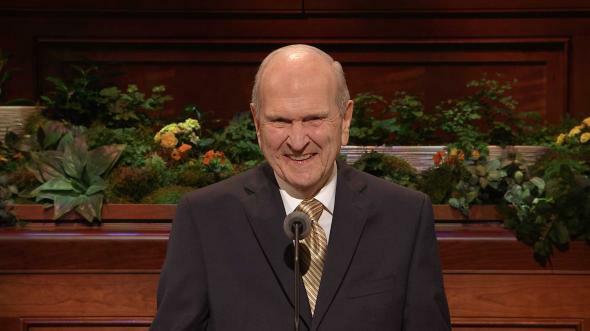 Russell M. Nelson, “Sisters’ Participation in the Gathering of Israel,” Ensign or Liahona, Nov. 2018, 70. 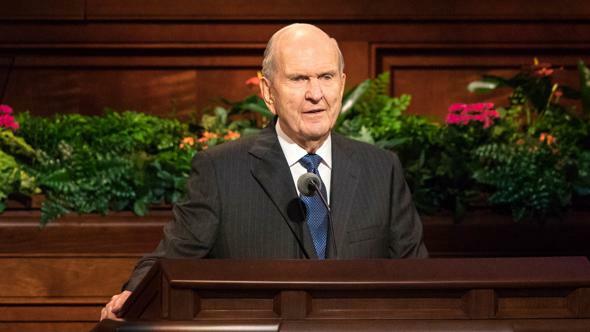 See Russell M. Nelson, “Opening Remarks,” Ensign or Liahona, Nov. 2018, 6–8. See Doctrine and Covenants 131:1–4. 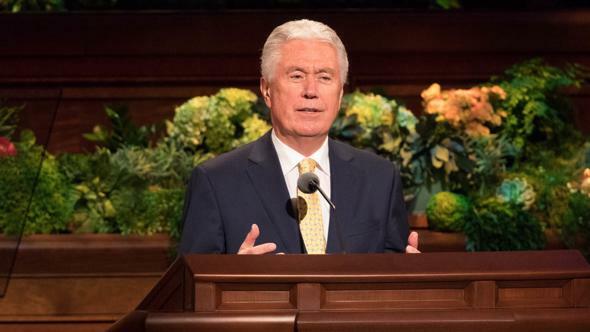 See “The Family: A Proclamation to the World,” Ensign or Liahona, May 2017, 145. “Every father is to his family a patriarch and every mother a matriarch as coequals in their distinctive parental roles” (James E. Faust, “The Prophetic Voice,” Ensign, May 1996, 6). See Doctrine and Covenants 45:26–27; 88:91. 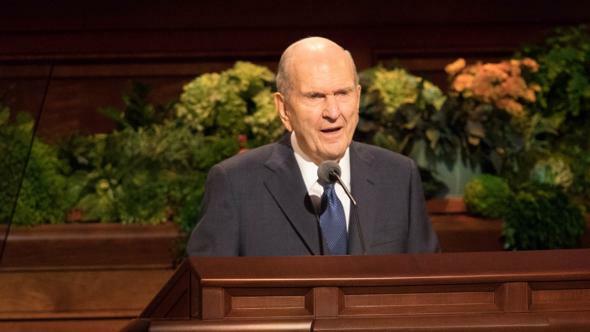 Russell M. Nelson, “Becoming Exemplary Latter-day Saints,” Ensign or Liahona, Nov. 2018, 113. See “Home Can Be a Heaven on Earth,” Hymns, no. 298. “Love at Home,” Hymns, no. 294. Undue criticism of children should be avoided. Overcoming errors and lack of wisdom requires instruction, not criticism. Sin requires chastening (see Doctrine and Covenants 1:25–27). See Russell M. Nelson, “Sisters’ Participation in the Gathering of Israel,” 69; see also Russell M. Nelson, “Hope of Israel” (worldwide youth devotional, June 3, 2018), HopeofIsrael.ChurchofJesusChrist.org. In a sense, the home is like a one-room school for children of all ages. When teaching the 11-year-old, we can’t ignore the 3-year-old. See John 17:3; 2 Nephi 31:20; Moroni 7:47.